The ill effects of sprawling settlements development patterns are well documented. Numerous books, articles, and films have discussed the negative physical, economic and ecological impacts associated with suburban sprawl. However, as a medium for expression, the music industry provides few examples of sufficient coverage. Countering this trend is the band Arcade Fire, whose latest album, The Suburbs , brings to life their own experiences growing up in such an environment. In doing so, they paint an eerie, but accessible picture of what many kids go through growing up in America. The Arcade Fire is an indie rock band formed in Montreal, Canada by husband and wife duo Win Butler and Régine Chassagne. The group also includes Win’s younger brother, William Butler. Win and Will were born in Northern California, near the Nevada border, in a small rural town. When the brothers were young their family moved to the Woodlands, Texas, a well-known master planned suburb on the outskirts of Houston. The change in scenery was so drastic that Win says “it was like landing on Mars.” What was then an unfamiliar new place sets the stages for the hazy memories that comprise The Suburbs. The central themes of boredom, confinement, loneliness and regret are brought up repeatedly throughout the album. Some of the most powerful imagery in many of the songs is accompanied by the idea of being lost—Win uses this as a metaphor for feeling afloat in life, with no particular direction. But this sense of confusion is also directly related to the disconnected life he once lived in the suburbs. The point is driven home on the album’s most somber song, Sprawl I (Flatland) . The track describes Win’s return visit to the Woodlands neighborhood where he spent the majority of his childhood. But with so little connection to the place he once lived, he is unable to find the right house. More telling is that during the entire song he deliberately avoids the word “home”. Instead, he searches for “the house where we used to stay.” Towards the end of the track Win recalls being asked by a police officer where he lives. He replies that he does not know but has been searching every corner of the Earth. Beyond being lost in the sprawl, the Butler brothers also seemed to grow up bored. Many of the songs ring with a tone of regret, recalling summer days wasted indoors, germinating half-baked ideas that were never realized. The listener understands that the brothers did not lack creativity, but simply had no outlet for their talents. Listening deeper into the album, several songs reference a “suburban war,” a metaphor for childhood fantasies enacted through play. From personal experiences, it could have been a neighborhood wide game of flashlight tag or building a skateboard ramp in the backyard. For the boys the excitement comes in merely talking about their ideas. However, when it came time to see them through to fruition, the motivation runs dry. The disappointment that goes along with discarded plans reveals a sense of impotence, a feeling that makes the suburbs an even lonelier, alienating place. 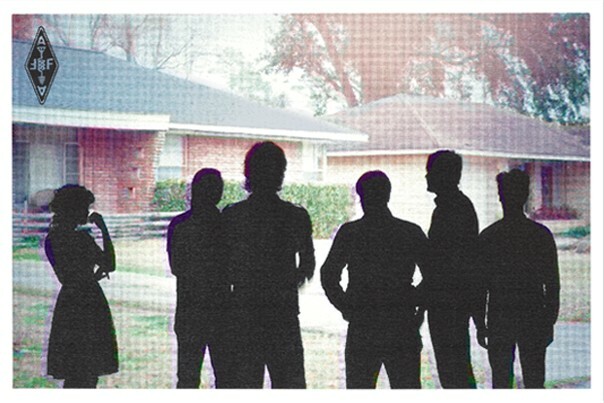 Among all of the intangible ideas about suburban life discussed on the album, the Arcade Fire offer several hints as to why the Woodlands was such a depressing place to live. In the high-energy track, Month of May, they make a direct reference to automobile-centric planning. Similar explanations are heard during the opening presentation of any New Urbanist design charrette. Towards the end of the album, Chassagne sings about a seemingly post-apocalyptic landscape in the song Sprawl II (Mountains Beyond Mountains). The tune’s subject matter could be lifted straight from the writings of James Howard Kunstler. 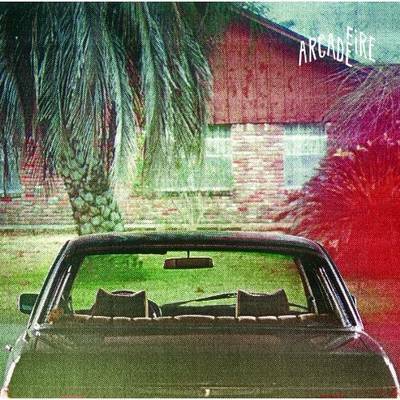 Clearly, The Arcade Fire portray sprawl in a negative light. However, after listening to The Suburbs the question remains: if not low-density, auto-oriented neighborhoods, for what do they advocate? Surprisingly, the album reveals a mix of feelings towards cities. Indeed, several tracks portray cities as confusing places where people easily lose themselves, while others praise cities as the places where exciting and interesting people live. Ostensibly, the band has grown comfortable with urban living, as they reside in Montreal, one of North America’s most cosmopolitan cities. However, the album reveals that the brothers Butler still long for the soothing calm of their rural birthplace. When confronted with the question in interviews, Win replies that his goal for the album was to talk about real experiences rather than pretend he grew up in a more edgy, urban environment. The accessibility of the writing is exactly what makes the album so powerful because current and former suburban inhabitants may easily place themselves within each song, making them all the more real and haunting. Zack Adelson is a designer and urban advocate currently living and working in Portland, Maine.